On a recent filming trip to Emeralda Marsh in Lake County Florida we managed to film and photograph a suspected hybrid between a Tricolored Heron and a Snowy Egret. Hybrids between separate species are rare. But they do spark an interesting and somewhat controversial debate that inevitably leads back to the same old question of what constitutes a species. Suspected hybrids between heron species, whilst extremely rare, have been documented for some time. 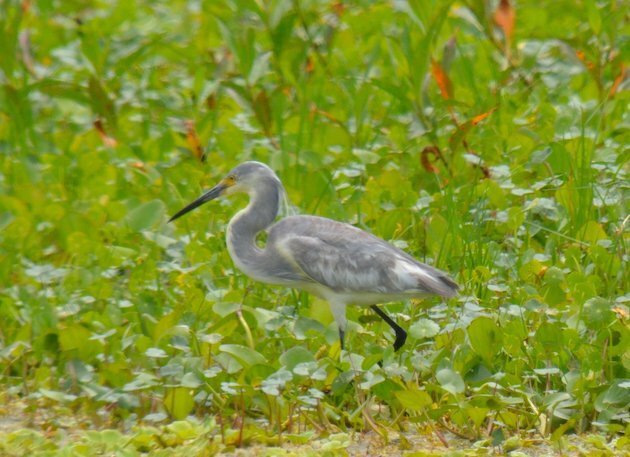 As early as 1954 a suspected Little Blue Heron/Snowy Egret hybrid was reported from Florida. 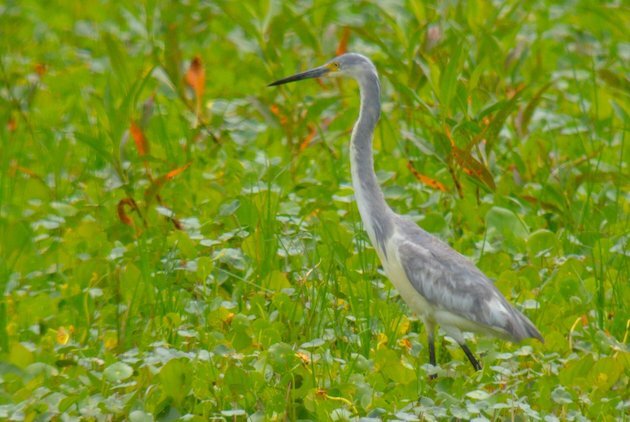 A Little Blue Heron/Tri-colored Heron hybrid was reported from Arizona in 1964 and a Little Blue Heron/Cattle Egret suspect was reported from California in 1989. The first suspected hybrid between a Tri-colored Heron and a Snowy Egret was initially reported more recently in 1996 (Meeks et al, 1996, The Auk). Since then, there have been a handful of records of this rare breeding occurrence. Although it is nearly impossible to 100% identify some of these hybrids (only DNA testing could categorically confirm these), it is possible to accurately hypothesize about the identity of the wayward parents through close analysis of the features of the hybrid. 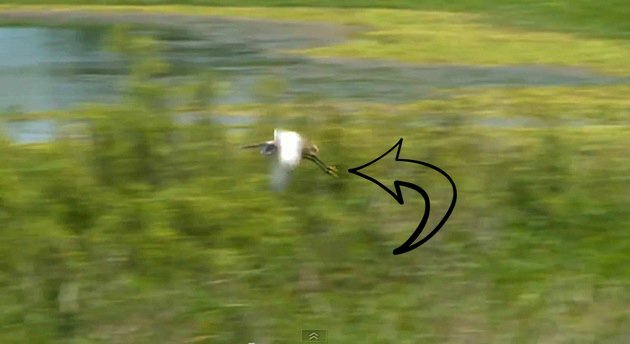 In the pictures below, we can clearly see the white stripe reminiscent of a Tri-colored Heron down the neck of the bird. Also, take note of the bluish/purplish coloration and really long, slender neck that points to Tri-colored. But Tri-colored Herons don’t have black legs and this individual clearly shows black legs. Based on the pattern and color of the plumage it is probably safe to rule out any other dark herons like Reddish Egret or Little Blue Heron. So could this then be a partially leucistic Tricolored Heron with weirdly colored legs? Why not? So, what about Tri-colored Heron/Little Egret some might ask. Well that would REALLY be a mega-rarity wouldn’t it?